Opinion polls in South Africa have clearly shown the sharp decline in citizens’ approval of Jacob Zuma’s performance as president over the past three years. 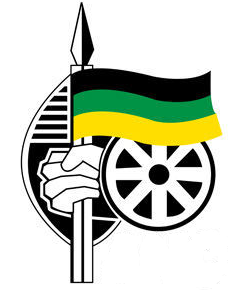 What has been less clear is the impact on the governing African National Congress (ANC). He was also the president of the ANC, until his term ended in December and he was replaced by Cyril Ramaphosa. range throughout his first term in office. Once that image was finally pierced, one might have logically expected his downfall to be equally personal, and not take the party down with him. But new results from the December 2017 South African Citizen Survey demonstrate just the opposite. Asking a widely used measure of party support called partisan identification, a strong predictor of both voter turnout and vote choice, only 32% of those surveyed said they “felt close” to the ANC. This is the worst result recorded in the past 17 years, and statistically tied as the lowest level since 1994. Zuma, it seems, pulled the ANC down with him. But this question is not asked very frequently by South African polling organisations. Fortunately, it’s possible to turn to an alternative indicator to get a more fine grained take on recent trends in ANC support. The South African Citizen Survey also asks respondents to rate how much they “like or dislike” each major political party on a scale of 0 to 10. In mid-2015, 61% of South Africans held a positive view of the ANC. Two and a half years later, only 43% feel this way. More importantly, the proportion who give the ANC a higher score than any other party has shrunk from over one half of the electorate in mid-2015 (55%), to just over one third (37%) in the most recent survey as shown below. To be sure, it was already clear from the ANC’s loss of seats in the National Assembly and provincial legislatures in the 2009 and 2014 national elections that Zuma was presiding over an electoral decline, however small. This should have become even clearer in 2016, when large numbers of ANC members lost their seats as municipal councillors, positions in executive councils, and mayorships of major metropolitan councils. Yet many of these losses could have been pinned to the poor performance of the post-2008 economy. Indeed, ever since 1994, the degree of economic optimism (as measured by the proportion of South Africans who expect the economy to improve in the next year) has been a strong predictor of popular support for the ANC. But the evidence suggests that over the past year, voter support for the ANC became tied to their views of Jacob Zuma, rather than the economy. While Zuma’s popularity has fallen steadily since at least the end of 2015, the biggest single drop took place in April 2017 when his support levels plummeted by 12 percentage points on the heels of the public firestorm that followed the March cabinet re-shuffle and sacking of Finance Minister Pravin Gordhan. Yet, even with the resultant damage to the currency and the markets, South Africans began to sense an economic turnaround. By year’s end, 48% expected the economy to get better in the next 12 months, and 59% expected their household living conditions to improve. But peoples’ evaluations of Zuma’s job performance continued to plummet (to just 22%), and the public image of the ANC remained at historically low levels. Thus, voters finally turned on Zuma, but only after a long string of personal scandals, bad political decisions, and public outrage over the use of public money on his private homestead Nkandla, the “capture” of key state institutions by Gupta-friendly ministers and directors, and cabinet reshuffles. Yet the ANC continued to shield him from the courts, the Public Protector, and from successive votes of no confidence in parliament. Indeed, the party came very close to electing his hand-chosen successor, Nkosazana Dlamini-Zuma, as its new leader and presumptive national president. But at some point in the past few months, a sufficient number of party members finally seemed to grasp the fact that Zuma’s continued presence threatened the electoral interests of the party as well as their own political futures, particularly those who appeared downwind on the party list. But it took them a very long time to reach this conclusion, and the party has paid dearly in terms of its connection with the electorate. Zuma dragged the ANC down with him. Yet many might justifiably argue that it has been a mutual waltz to the bottom: while his behaviour and decisions damaged his own image, the ANC’s tolerance of his sins of governance has tarnished theirs. President Cyril Ramaphosa therefore faces a double challenge. 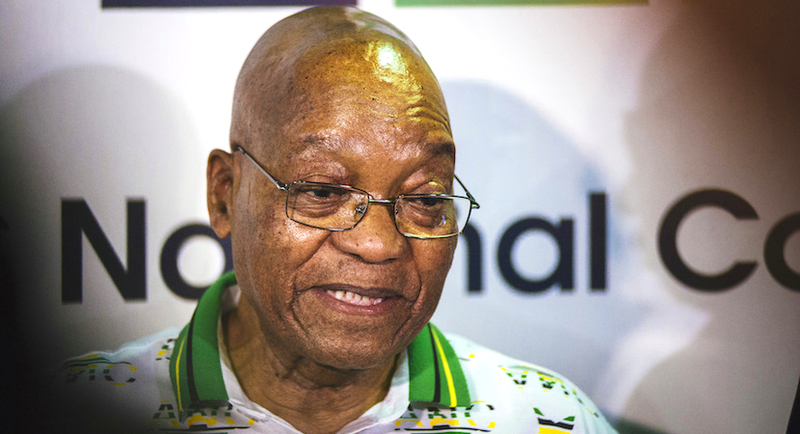 Not only must he reestablish a positive connection between the presidency and the people, but he must also transform the battered image of the ANC. The South African Citizens Survey is based on face-to-face interviews with a nationally representative sample of 1,300 respondents a month. Results are reported quarterly on a total of 3,900 respondents, which produces results with a margin of error margin of error of ±1.5 percentage points at the 95% confidence level. Sampling sites are chosen at random across all provinces, and metro, urban and rural areas, with probability proportionate to population size, based on the latest StatsSA estimates of the population aged 18 and older. Interviews are conducted in English, isiZulu, isiXhosa, Afrikaans, Sesotho, Sepedi, and Setswana. Weights are applied to ensure the sample represents the most recent national population with respect to province, race, gender, age and area type. Robert Mattes, Professor in the Department of Political Studies, University of Cape Town. This article was originally published on The Conversation. Read the original article.